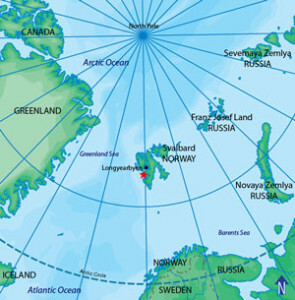 The Svalbard Global Seed Vault, which was opened in 2008 by the Norwegian government, is a secure seed bank on the Norwegian island of Spitsbergen in the remote Arctic Svalbard archipelago, about 1,300 kilometres from the North Pole. 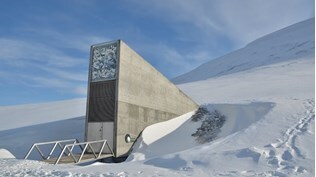 The mission of the Seed Vault is to provide a safety net against accidental loss of diversity in traditional agricultural genebanks. From all across the globe, crates of seeds are sent here for safe and secure long-term storage in cold and dry rock vaults.